An attorney for Aaron Hernandez and his estate announced today that researchers at Boston University found signs of CTE in the brain of the deceased former NFL player. Hernandez’s brain was sent to Boston University’s CTE center, considered the most comprehensive research lab for the degenerative brain disease. The center released a statement saying Hernandez had Stage 3 CTE; the scale runs from one to four. 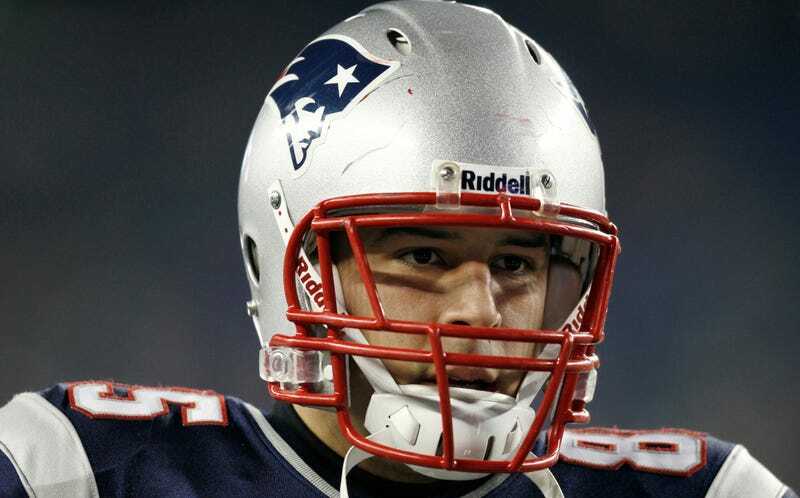 Attorney Jose Baez also announced his firm has filed a federal lawsuit against the NFL and the New England Patriots on behalf of Hernandez’s daughter. Hernandez was found not guilty on double homicide charges in April of this year; he was serving a life sentence for first-degree murder in a separate trial that took place in 2015. Just five days after the verdict, Hernandez was found dead in his cell of an apparent suicide. Per a technicality in Massachusetts state law, Hernandez’s existing murder conviction was vacated due to him not going through the automatic appeals process that would have confirmed or overturned the 2015 conviction. Hernandez’s CTE findings are a significant addition to the growing list of former football players found to have the disease. A recent study found CTE in the brains of 110 out of 111 brains of former NFL players donated to the BU CTE center. However, those results should not be assumed to extrapolate across the full population of football players; the brains the center receives are usually donations from families who suspected CTE while the person was alive. Currently, CTE can only be diagnosed post-mortem. The disease is believed to be caused by repetitive sub-concussive hits to the head. Behavioral symptoms of people found to have CTE have included depression, emotional instability, anger and violence, and memory loss.